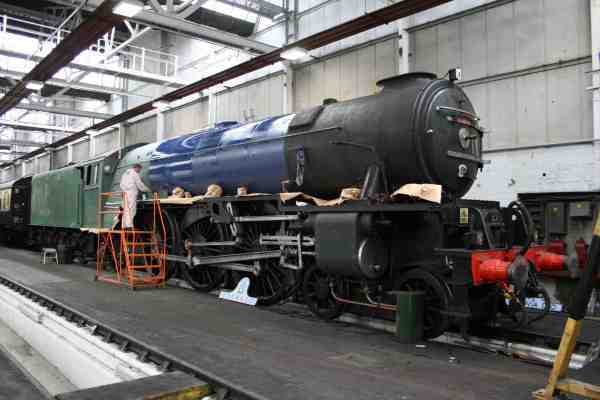 The above photograph of Tornado, posted by the A1 Trust on its website, is included here for being of interest in two respects: firstly, it shows its repaint into BR blue; and secondly, as a rare view of the A1 without its smoke deflectors it makes its familial resemblance to other LNER pacifics more immediately obvious – both Gresley’s A3s and Thompson’s A2s, as rebuilt from the P2s. The National Railway Museum has published the report into the overhaul of Flying Scotsman that it commissioned from Roger Meanley. It is a sobering read, and raises questions about the nature of the heritage rail engineering sector that might be kept in mind by new build projects. Meanley paints a picture of informal agreements on engineering specifications, often relying heavily on the judgement of engineers rather than on rigorous contracts. The collision of this culture with the more stringent contracting standards expected by a public body such as the NRM are seen as one contributing factor in the Scotsman overhaul becoming such a debacle. 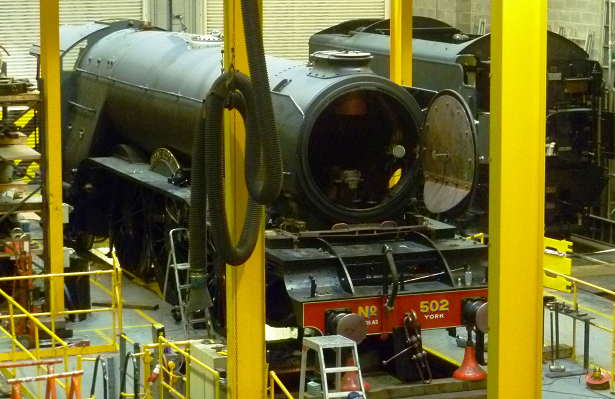 Flying Scotsman in the NRM’s workshop in September. Photo: New Build Steam. As no new build project is publicly-funded, it might be tempting to conclude that such problems will not be obstacles to their successful completion. This may often be true, but dedicated followers of the various new build schemes may be able to identify instances where projects appear to have encountered delays or other difficulties arising from disagreement with contractors or a lack of sound project management. While it seems unlikely that much can be done to move heritage rail engineering significantly beyond a “cottage industry” on account of its modest size and the lack of opportunity that it presents for profit, the most capable of the new build project teams will doubtless be absorbing the lessons from the Scotsman story for their own contracting and management approaches. The group pool on Flickr is slowly shaping up, with numerous new members and photographs contributed – all of Tornado so far, but always gratefully received. If you’d like to share your pictures of any new build project (steam or diesel, of any gauge), do join on Flickr. While the GWR railmotor is not usually covered on this site – it’s debatable whether it’s within scope as a “locomotive” – its period of running on the national rail network is well deserving of a mention. The vehicle was originally scheduled to run between Liskeard and Looe on November 4th and 11th. Unfortunately the workings on November 4th were cancelled at short notice after the failures of both the diesel locomotive rostered to haul it from Bodmin to Looe, and of the engine earmarked as a backup. The trips have been rearranged for November 18th and original tickets remain valid. The runs on November 11th are due to go ahead as planned. More information is available here. 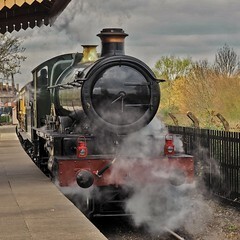 The workings involve 5 round trips a day, with 54 passengers per train – so they are a rare treat. They are possible because there is no Sunday service on the branch. This site promised to keep an eye on the project to build a new version of pioneering LMS diesel number 10000, so this seems like an appropriate time to revisit it, as the first parts have just been fabricated – its iconic aluminium numbers. The project has already acquired an English Electric 16VST engine for the locomotive.